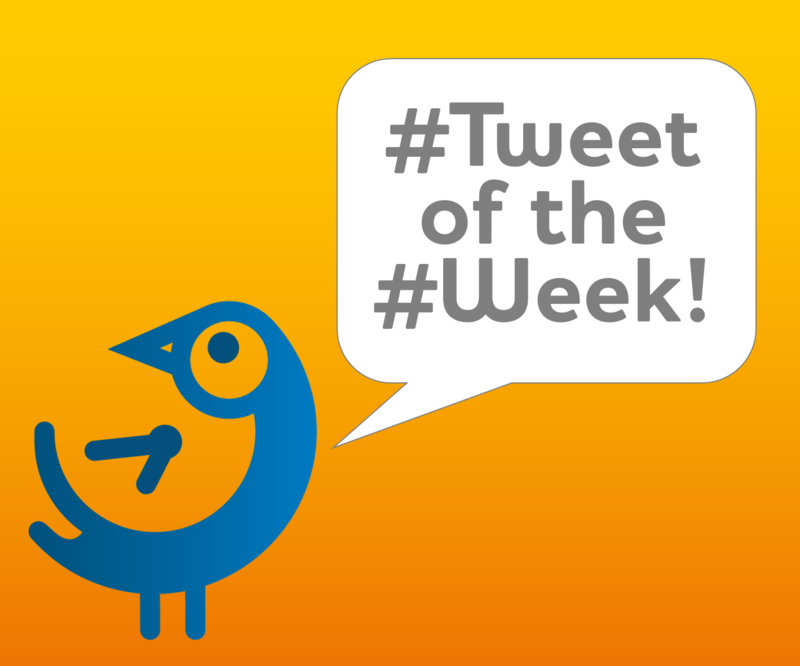 This week’s Tweet of the Week comes from tech entrepreneur Elon Musk – the man behind PayPal, in addition to some of the most innovative tech-meets-transport companies in the world: Tesla and SpaceX. In this Tweet, Musk says that his latest venture, The Boring Company has just received a verbal Government green light to build an underground hyperloop that will allow commuters to travel from New York to Washington DC in under 30 minutes… 29 in fact, to quote the great entrepreneur himself. Musk is an avid user of Twitter and his Tweets can often influence the share price of his company Tesla, Inc.
A Tweet by a tech company CEO to build hype for a product launch is not unusual; however, the effect this one had – posted just before the second session on NASDAQ – was dramatic, and wholly representative of the market moving power of Twitter. Within minutes, this Tweet added more than 2% ($670 million) to Tesla’s stock value. By our calculations that’s over $83 million per word! So, what was the impact of his recent Boring Tweet (see what we did there?). Well, currently The Boring Company isn’t public, so you cannot buy shares in the company. 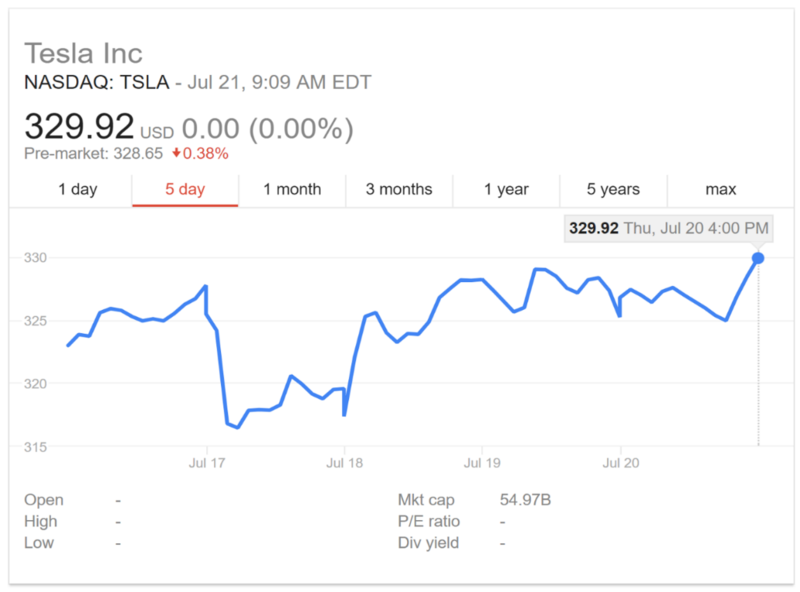 However, let’s look to see if it had any impact on Tesla, Inc’s share price. 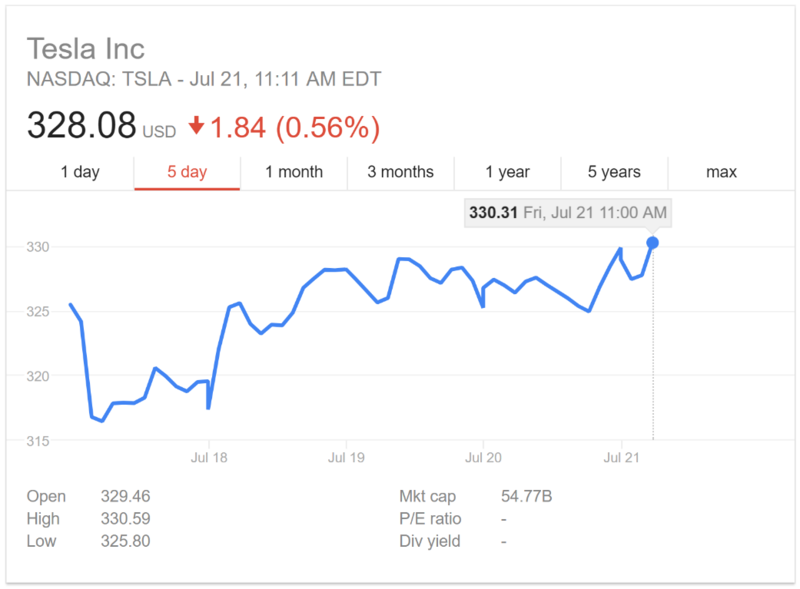 The Tweet was posted at around 4pm in the afternoon on 20/07, and, as you can clearly see from the graph below, in the late afternoon of that day, just ahead of the announcement, Tesla stock advanced from 325.00 USD to 329.92 USD per share – that’s a 1.5% increase over a period of minutes. The following day, the price eased slightly into the open, resuming an upward trajectory again later in the morning – perhaps a result of the Tweet and the story finding more traction in the mainstream press. Once again, this demonstrates perfectly the power a single Tweet can have on stock prices, and why it’s so vital for financial professionals to have access to Twitter at work. For more information about how EarlyBird is helping professional traders, analysts and portfolio managers see breaking financial news and Tweets first on Twitter, contact us today. We’d be happy to answer any questions, and send you a pack telling you everything you need to know about EarlyBird and why it’s best in class for compliant, financially-focused Twitter clients.